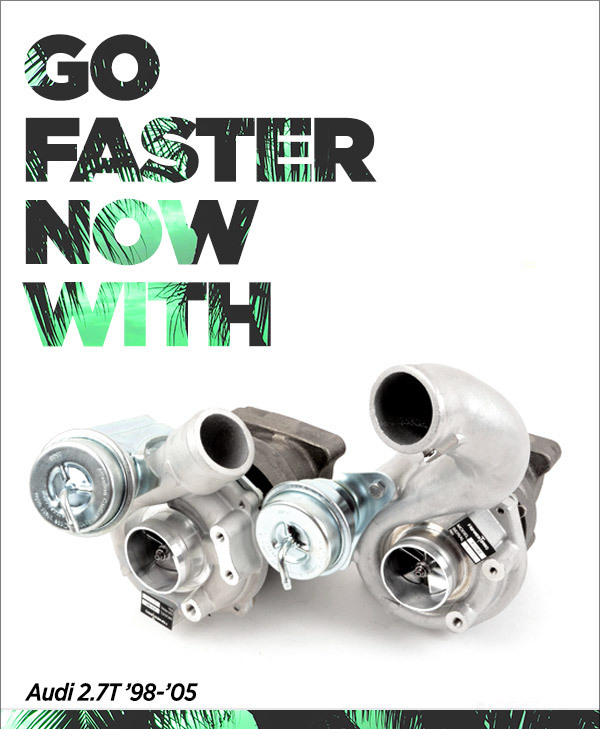 ECS Tuning offers an exceptional complete bolt-on turbo upgrade kit that requires no additional plumbing or modifications. The FrankenTurbo F21 hybrid turbo upgrade allows you to use the turbocharger upgrade by itself with all factory components. You can also choose to upgrade your ECU and choice components for a more smooth, consistent power delivery. The F21 utilizes an inconel 713C Alloy Steel "Mixed Flow" Turbine Rotor, forged billet aluminum alloy compressor wheel, 42CrMo high-strength rotor shaft, and an up-rated K16-series 360 degree thrust bearing and ring.